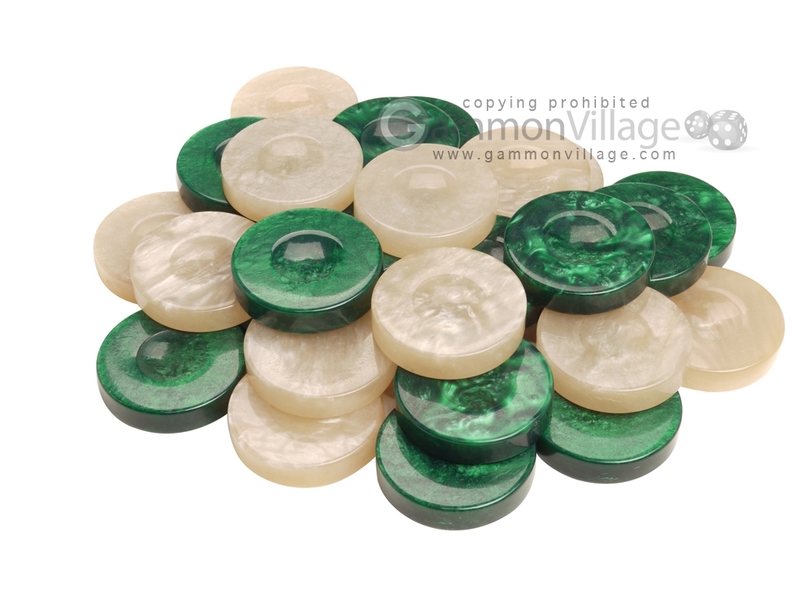 These green and ivory backgammon stones will add sparkle and style to any backgammon set. Page P5533 Copyright © 1999-2019 GammonVillage Inc., USA. All rights reserved.